Hello November! Pop up and fold out cards are so fun to receive but can be complicated to create. 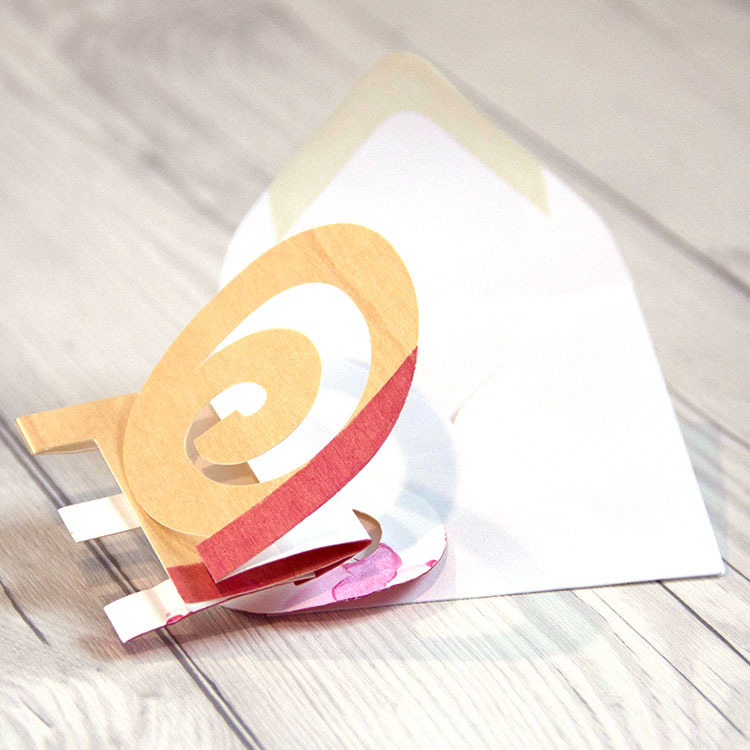 Today we are excited to share this simple DIY interactive card idea. 1. Take any word and typeset it in your favorite font. Make sure all of your letters connect. 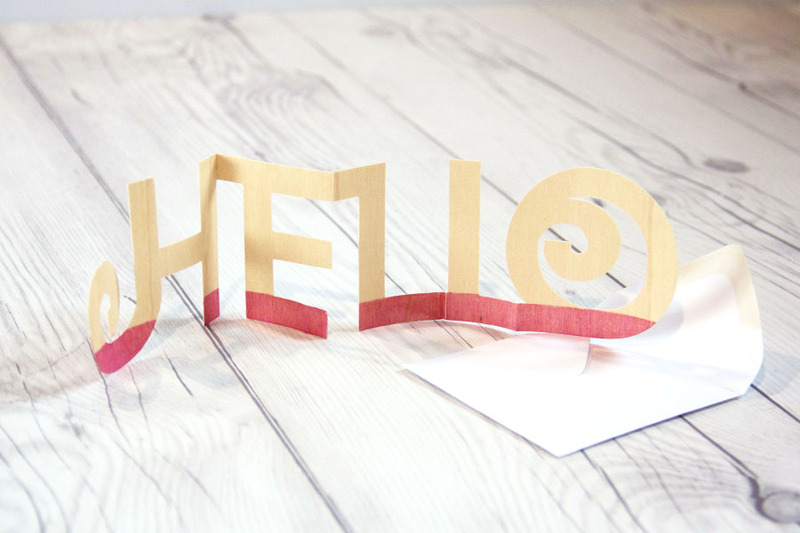 We typeset HELLO in Adobe Illustrator and then imported the file into our e-cutter software to cut. 2. Size your word so when folded it is not larger than 3 inches. 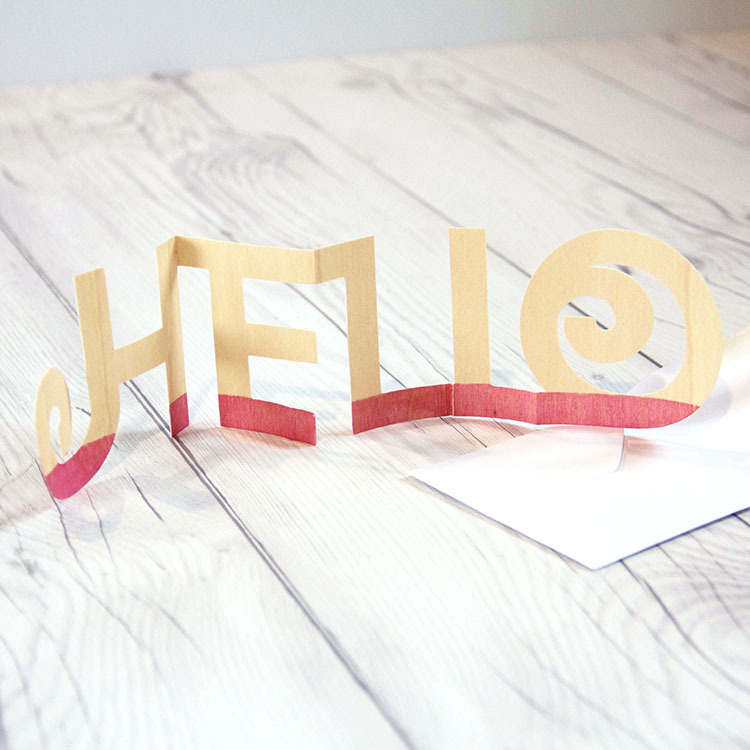 Our HELLO is 2.75″ tall and 8″ long. 3. 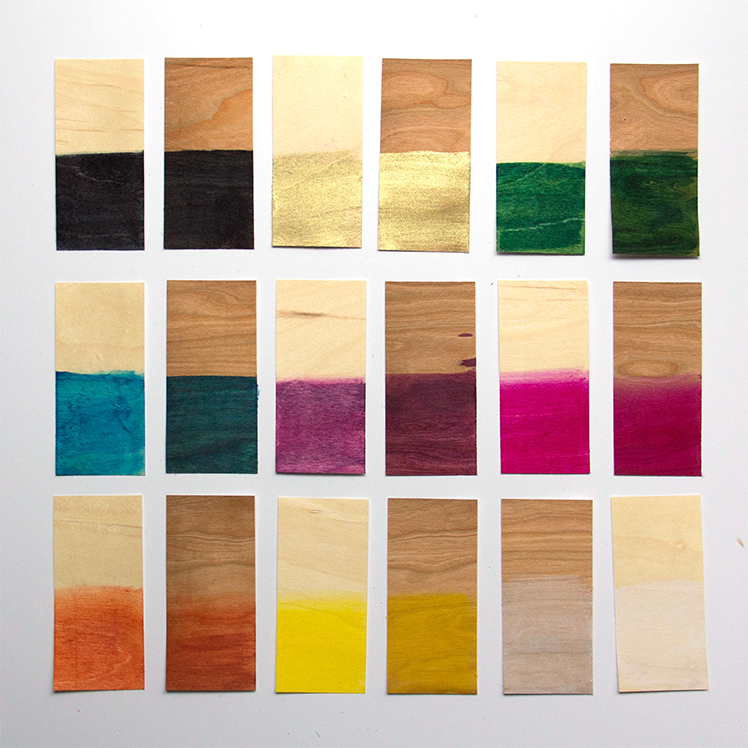 Cut your word into a sheet of Real Birch Wood paper. 4. Prepare your word for color. We masked off the Real Birch Wood Hello with blue painter’s tape to leave a small 0.5″ strip of wood exposed along the bottom of the word. 5. Add color to your word. 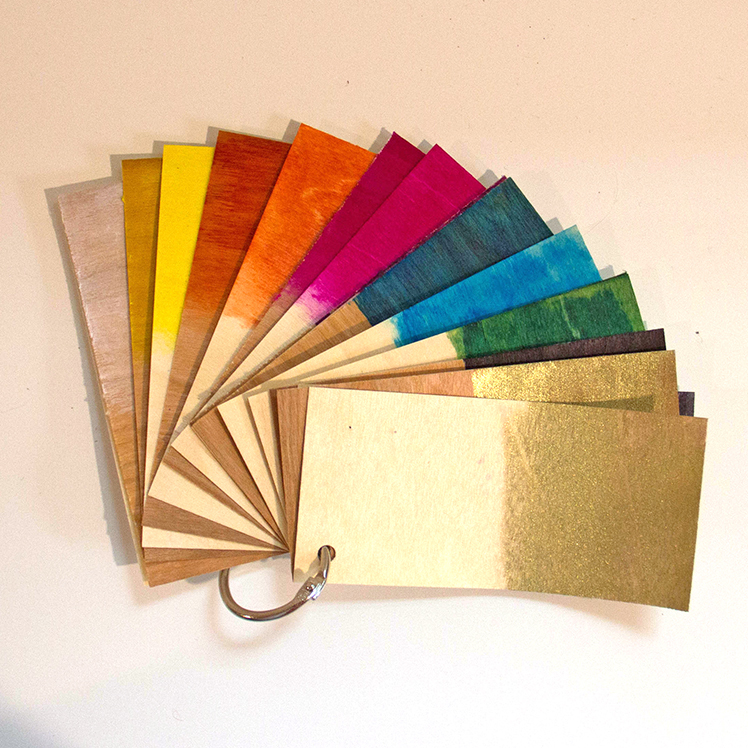 We love the way the Jacquard Lumiere ink looks on our Real Wood paper. We used Halo Pink Gold and a sponge dauber to apply the color. 6. 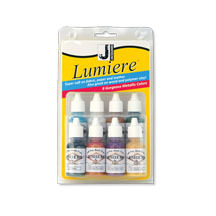 Let ink dry and then remove the painter’s tape mask. 7. Add score lines between letters. Fold and be sure the folded card is no larger than 3″ x 3″. 8. 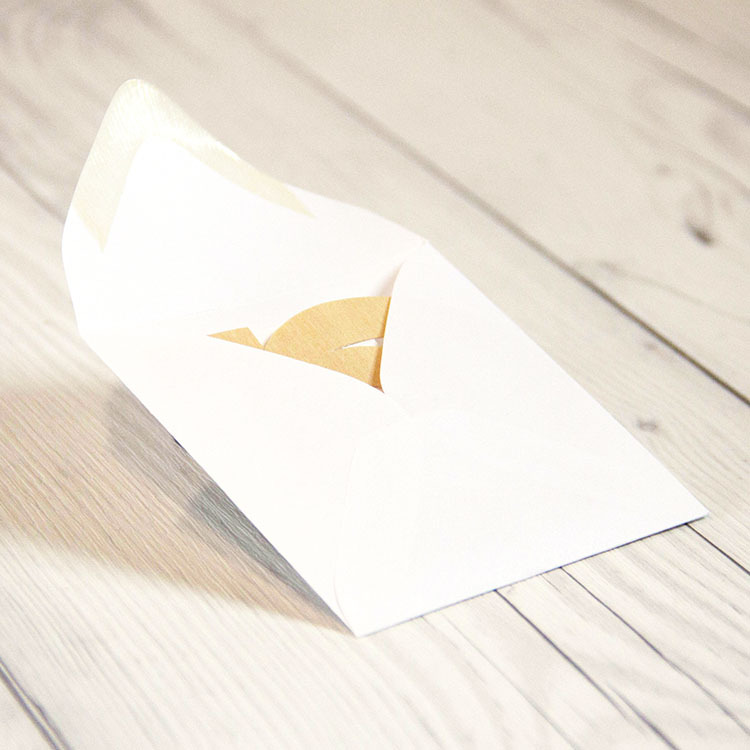 Slip folded HELLO card inside our new Square White Envelopes. This entry was posted in DIY Projects, Stationery & Envelopes and tagged 3x3 card, fold out card, interactive card, Jacquard Products, Lumiere, Real Birch Wood, White Square Envelope.